A buyer for the Nick property? Hawley Realty is working with a buyer who is interested in purchasing the Nick Property located at the SE corner of 7th Ave NW and NW 65th Street. The buyer is working through the due diligence process and the earliest anticipated closing date would be June 2015. The Nick Property has sat vacant for many years after once being home to Nick Boat and Motor which closed in 2007. For 50 years, Nick Boat and Motor sold boats, fuel and provided vessel repair services at this location. The building that once sat on the lot was demolished in 2008 and subsequent environmental testing showed soil contamination which the Nick family has been addressing for the last year. The buyer anticipates using the space for their personal business and no housing would be included in the build out. 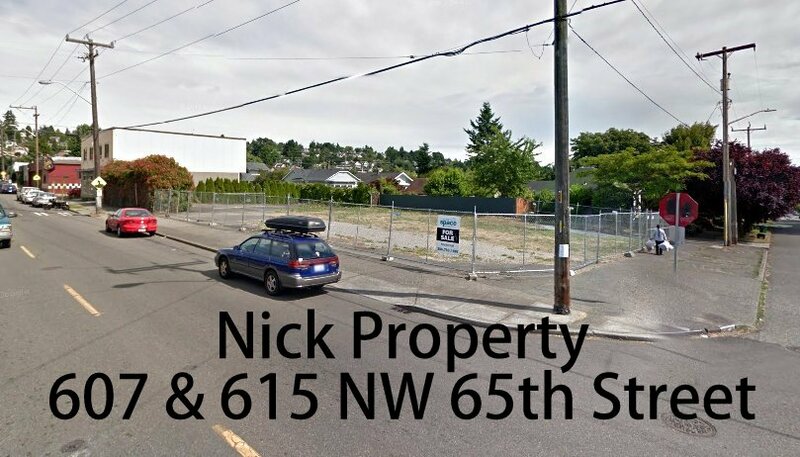 The second lot the Nick Family owns, on the SW corner of 7th Ave NW and NW 65th Street, is not for sale and continues to be leased by the Goodwill for parking.